What could be more of a treat than opening a delicious parcel of scrumptious, traditional cakes each month? If you join our cake club that is exactly what you will get. Every month members receive a carefully selected choice of cakes, each one baked to age old family recipes using only the best ingredients. 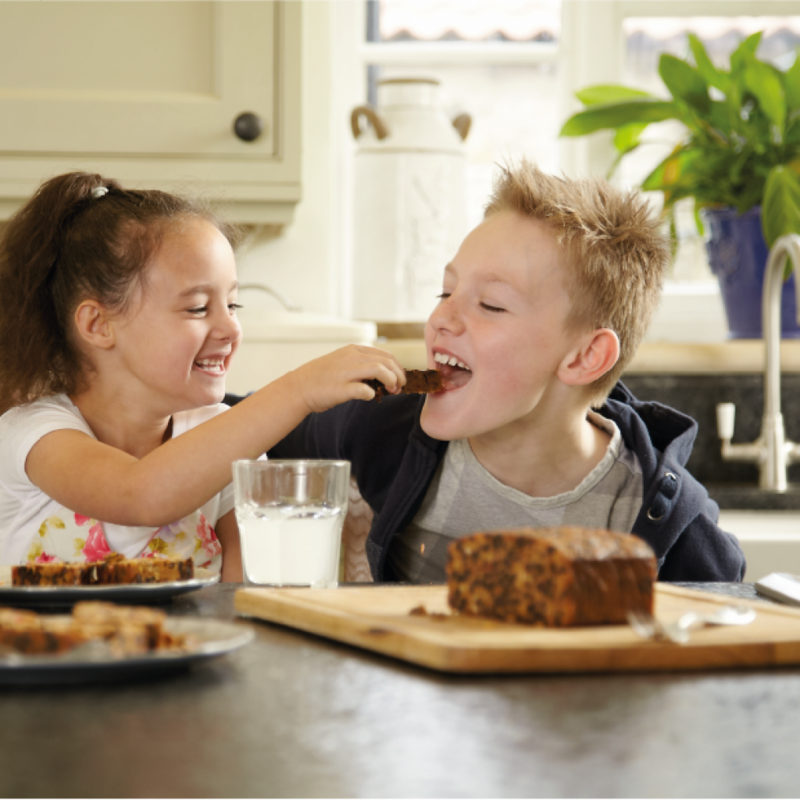 Each delivery contains one round fruit cake of your choice from Jenkins & Hustwit’s award winning range. One month this could be a Dales Fruit cake, a wonderful traditional Yorkshire cake packed with juicy currants, sweet, citrusy mixed peel and luscious ripe red glace cherries, all warmed with nutmeg and a slug of rum. Next month you might enjoy a slice of Rich Fruit Cake with a generous mix of currants, sultanas, raisins, mixed peel and glace cherries, mixed with fragrant spices and a dash of rum. This is accompanied by two loaf cakes selected for you from Jenkins & Hustwit’s delicious range of traditional cakes. These could include traditional favourites like buttery Madeira Cake, sticky, spice-rich Ginger Cake or fruity Cherry and Almond Cake, or perhaps some of the more unique cakes from the range like light-as-a-feather Northumbria Rice Cake, an old fashioned sponge cake from the North Country or the surprisingly delicious low fat, low sugar Granny Cake. It’s a bit like having a brilliant baker in the family, who sends you a care package of their best cakes once a month. You bet all the delicious and indulgent flavour of proper cake, but with none of the hassle and hard work. You can keep them all for yourself, or treat friends and family to a yummy slice of cake to enjoy with a cup of tea or as an afternoon snack. Alternatively Jenkins and Hustwit Cake Club membership would make a truly thoughtful gift for any cake lover in your life. Join them up for a year and yours will be the gift that keeps giving every month. You can join up for just £20 per month, and you will receive 4 cakes monthly with free shipping. As well a monthly treat of traditional Yorkshire cakes, members will also receive free delivery on all Jenkins & Hustwit products, a monthly newsletter and exclusive special offers and discounts. Join The Cake Club Today! Enter Your Name and Email And Then Type 'Cake Club' Into the form below and we will send you all of the details.